A beautifully packaged sewing pattern from Merchant and Mills. www.merchantandmills.com Not only is it perfectly packaged and a delight to receive but more importantly the pattern is straight forward and easy to follow – perfect for a beginner. 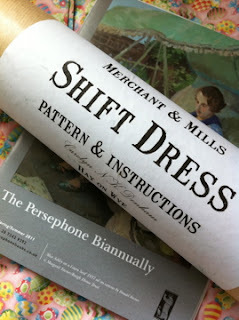 And – an extra treat arrived – The Persephone Biannual magazine – which book to choose next! 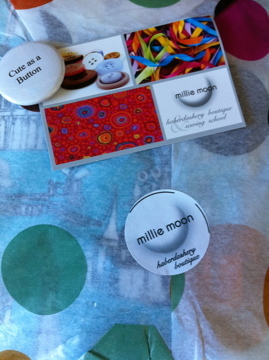 And then followed a delightful package from the gorgeous Millie Moon Haberdashery www.milliemoonshop.co.uk in Frome. Again, almost too beautiful to open. But inside ………. …….. what a print. 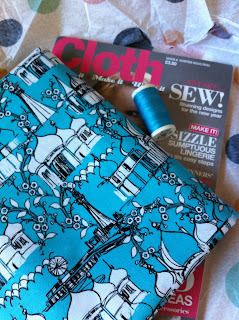 And yet another little treat – Cloth magazine – full of inspiration. 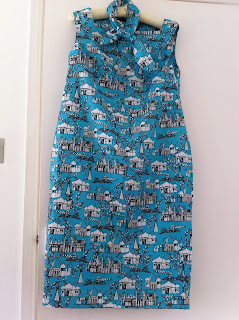 Can’t wait to start again ………….. so now Vic Loves To Knit ……. and Stitch …….